When your dog refuses to eat it can be extremely upsetting. The condition is known as anorexia and can be the initial indication of an underlying illness. 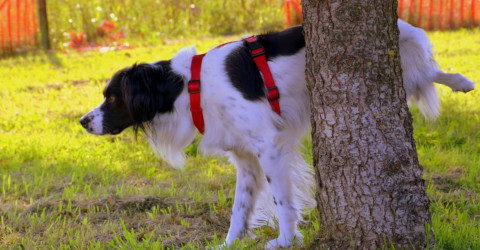 This complete loss of appetite in dogs is different to when your dog simply isn’t eating as much as recommended packet guidelines – in these cases your dog is probably perfectly healthy. It’s really important to get your vets advice if your dog has stopped eating. This could be a symptom of a serious health issue and needs resolving quickly. You can help by trying to find the cause of why your dog won’t eat and the possible reasons for the loss of appetite. If your dog is not eating or drinking you’ll need to make sure that his general health is good. Take a look at your dog’s teeth. Check for decaying teeth, or sores or growths that could be making eating difficult. Have you changed your dog’s brand of food recently? Sometimes different flavours can be rejected, and you’ll have to gradually mix in new foods with old to make sure they’re accepted. If your dog is not eating still you could try adding a few treats to the food bowl, or even warming tinned food in the microwave to give more flavour and produce a nice smell. Make sure you feed your dog at regular times so that he gets into a routine. If you’ve got other dogs it might be a good idea to feed them separately. Moving house, having a new baby, or getting your dog from a rescue centre can all be causes of stress causing a dog’s loss of appetite. Normally this will only last for a day or two, and your dog will otherwise seem healthy. Anxiety and depression are another two factors that can impact on your dog’s eating behaviour. Bad eating habits are not to be encouraged. If your dog is simply refusing to eat because a tastier alternative was offered then you need a strategy to prevent this pattern of behaviour. It’s quite simple to re-train your dog to eat what’s in the bowl by leaving it for just 10 minutes and then removing it. Don’t offer any more food for 24 hours and repeat the process. There are a whole range of issues that can cause your dog to stop eating. It’s important to monitor you dog for the first 24 hours, and if there’s no improvement take him to the vet for a check-up. Check out the features above in “What to look for” for more details. Puppies are very susceptible to problems that are brought on by loss of appetite as they need to eat at regular intervals. If your puppy is younger than six weeks he may need milk supplements, so speak to your vet for advice. Although dogs can last for up to five days without food, water is the main concern as your dog needs to keep hydrated. If your dog goes for longer than two days without eating you need to see your vet. Depending on the type of dog they can survive without food for three to five days. Take a look at the signs to look for and rule out temporary causes. If your dog continues with a loss of appetite and shows additional symptoms you need to go to your vet within 48 hours. My dog won’t eat – what shall I do? Keep a close check on him for 24 hours and monitor his behaviour. You’ll know if there’s something wrong and you need expert help. My dog won’t eat or drink and just lays there – do I need to take him to the vet? Yes. You need to get immediate help as dehydration becomes an urgent issue and your dog cannot live for longer than three days without water. There may come a time when surgery or medication has failed and you want any further suffering to be prevented. 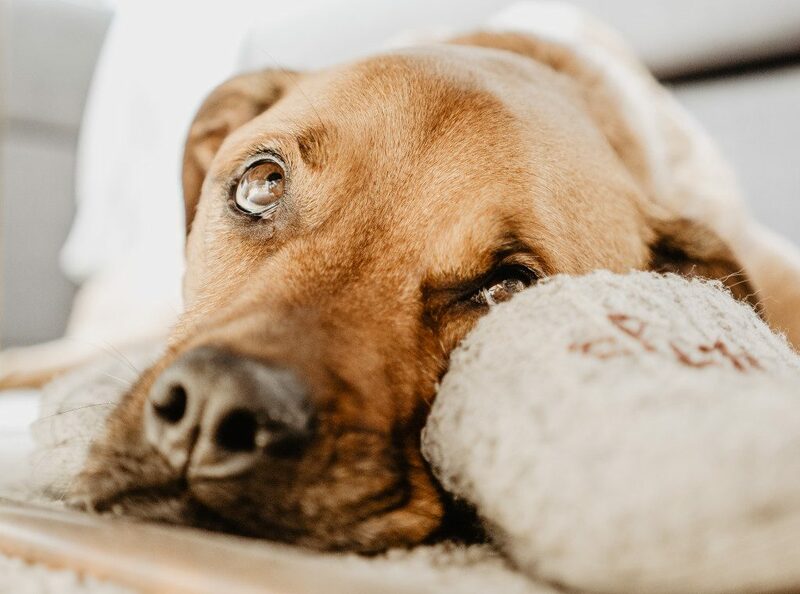 You may decide that you want a dog euthanasia practitioner to provide the end-of-life procedure in your own home where your dog feels comfortable and safe. Your at-home vet will explain the procedure to you, and answer any questions you may have. You’ll be given all the support you need during this sad time, and this gentle option may be the best way for you to say goodbye.